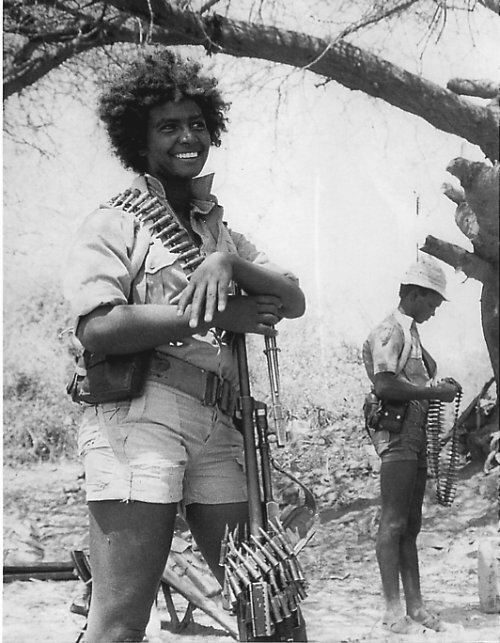 Woman Eritrean fighter equipped with a heavy machine-gun, ready to Attack the elite Ethiopian forces of "Nadew Command" stationed on the Nakfa front. The Nadew command was the most experienced and well equipped Ethiopian army, lead by Soviet advisors. The attack took place on March 17 1998.